Using cPanel, it is possible to set up email accounts, subdomain names, MySQL databases, and so much more. Clients can create their own email address with one click. Email features also include an advance Spam filter, autoresponders, forwarders, and a choice of interfaces to access webmail. Website statistics are also available through a few software choices. Clients may also set up special upload areas for THEIR clients. The Fantastico section offers clients the ability to create a MySQL Database, a list mail section, and other software available for doing business on the Internet. 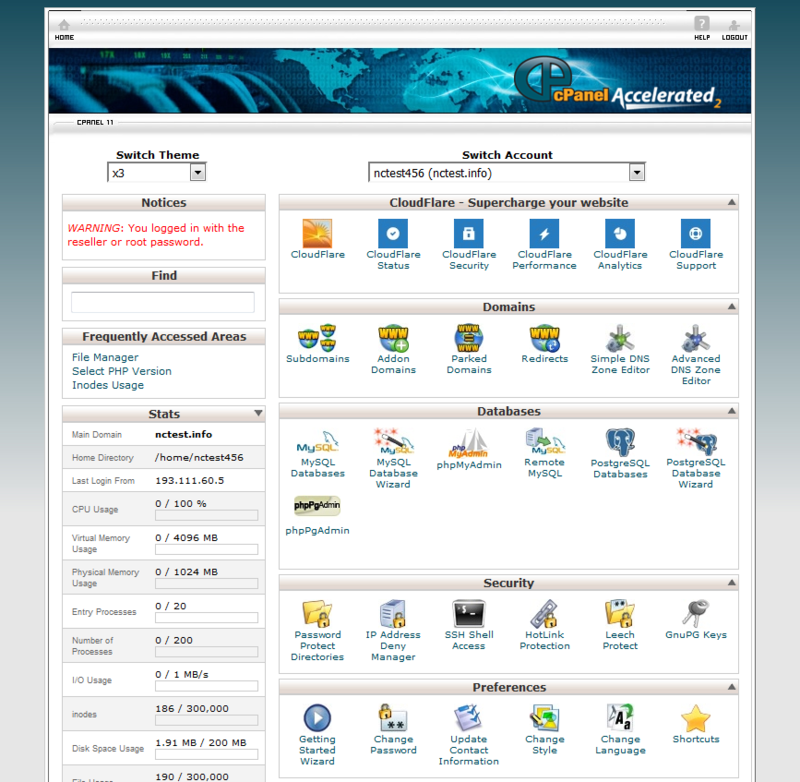 Simple: The cPanel interface is intuitive and includes video tutorials and on-screen help. This allows hosting customers to manage their own accounts easily at their own convenience. Web interfaces are logged into to perform a variety of functions. Below is a screen shot of a C-Panel, based upon the premium hosting package. Copyright Business First Hosting, a division of Wheat Communications, LLC.